The Chief Ministers' Conference held on the 23rd July, 1972, had made important suggestions with regard to reduction in the level of ceiling on land holdings, application of ceiling on the basis of land held by a family and the withdrawing of exemptions. The suggestions of the Chief Ministers' Conference were accepted by the Government of India and necessary guidelines were issued to the State Governments for the revision of ceiling laws. 2. 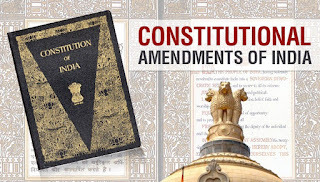 It is proposed to amend the Ninth Schedule to the Constitution to include therein the revised ceiling laws which have so far been enacted in broad conformity with the aforesaid guidelines so that they may have the protection under article 31B of the Constitution and any uncertainty or doubt that may arise in regard to the validity of those laws is removed. In addition, two Acts dealing with the abolition of intermediary tenures are also proposed to be included in the Ninth Schedule, namely, the Bihar Land Reforms (Amendment) Act, 1972 and the Gudalur Janmam Estates (Abolition and Conversion into Ryotwari) Act, 1969, so that they may also have the same protection. 3. The Bill seeks to achieve this object. NEW DELHI; FAKHRUDDIN ALI AHMED. 1. 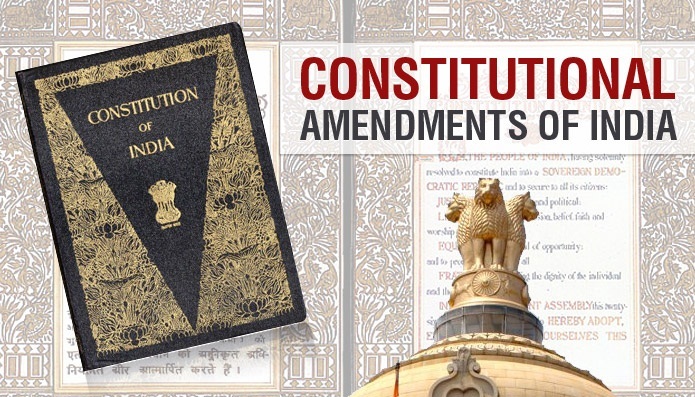 Short title.-This Act may be called the Constitution (Thirty-fourth Amendment)) Act, 1974. "67. The Andhra Pradesh Land Reforms (Ceiling on Agricultural Holdings) Act, 1973 (Andhra Pradesh Act 1 of 1973). 68. The Bihar Land Reforms (Fixation of Ceiling Area and Acquisition of Surplus Land) (Amendment) Act, 1972 (Bihar Act I of 1973). 79. The[[B Rajasthan Imposition of Ceiling on Agricultural Holdings Act, 1973 (Rajasthan Act 11 of 1973). 86. The Tripura Land Revenue and Land Reforms (Second Amendment) Act, 1974 (Tripura Act 7 of 1974). ".